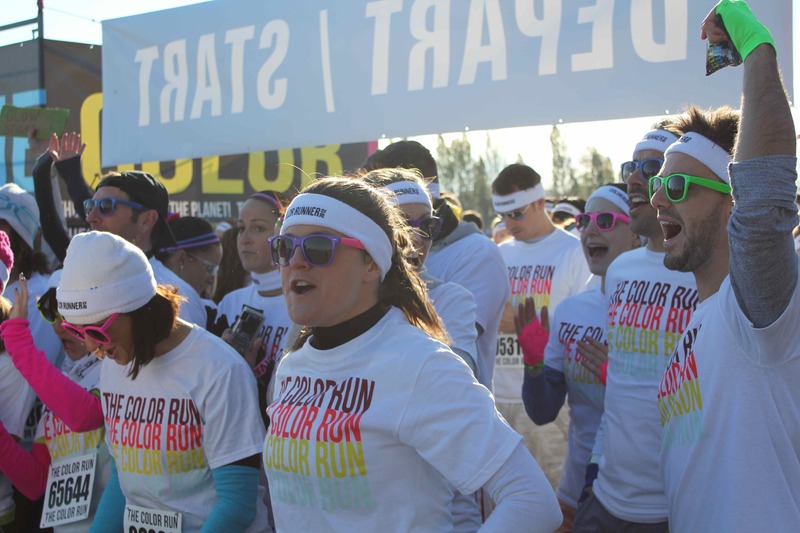 Color Run at Circuit Gilles Villeneuve. Photo by Peter Hostak. Every morning when my alarm clock goes off at 6 a.m. I want to smash it with a sledgehammer and throw it out the window. What makes me agitated is not so much the painful, squeaky sound of the alarm, but rather what I see when I look outside — total darkness. Rolled up like a mummy in my sheets, I see that my windows are still foggy from the cold and rain. Not exactly the best weather to head out for a run. But there was something special happening on the morning of Oct.13, which made me want to get up and run like never before: The Color Run. 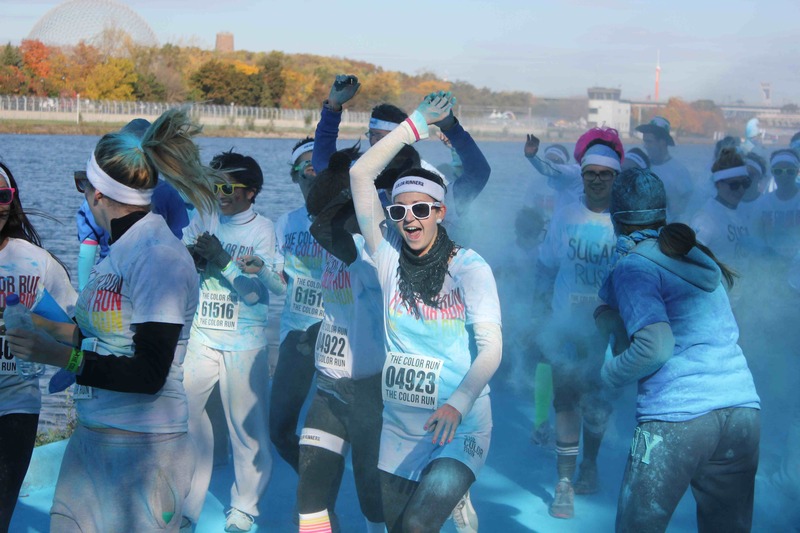 The Color Run, also dubbed as the “Happiest 5k on the Planet,” is a buddy-buddy run for anyone who loves breathing fresh air and getting paint on their face. 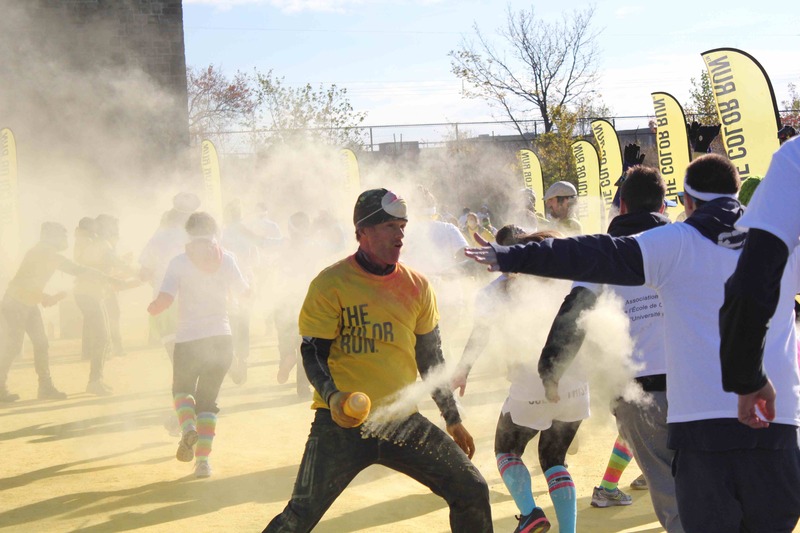 The way it works is simple: throughout the race, runners get splashed with tons of colored dust in pink, orange, blue and yellow. At every kilometre the color is different, so by the finish line you are sure to look like a bag of skittles. Whether you’re a professional athlete or just a casual runner, it really does not matter. 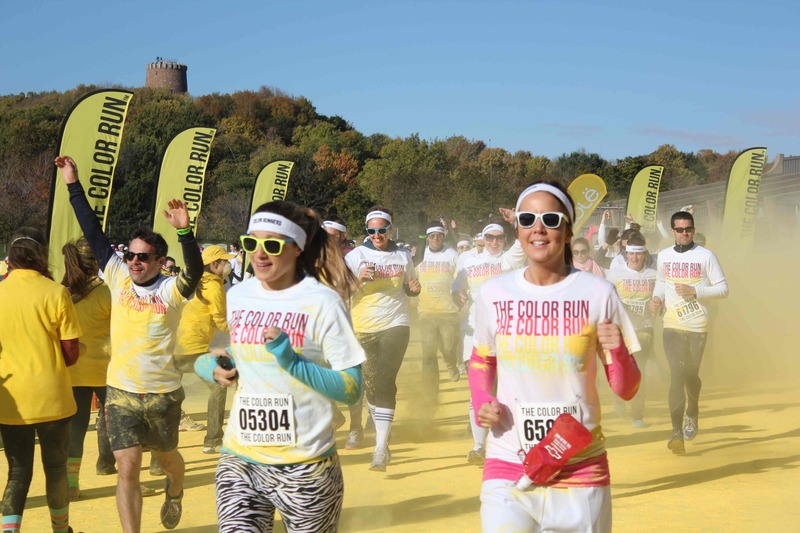 The Color Run is not about speed or performance; it is about sharing great experiences and celebrating health. When I found out the Color Run was happening in Montreal for the first time (it is largely an American thing) I knew I had to take part. Since running as a team is cheaper and, of course, more exciting, I decided to gather a group of friends who would be willing to break a sweat with me. Another bonus when registering as a team is picking a cool custom name for you and your running buddies. On the morning of the run I was overwhelmed by the crowd that gathered on Circuit Gilles Villeneuve. The weather was cold and windy, but that did not stop thousands of runners from having high spirits and getting the energy flowing. What I loved about this run was that it didn’t matter if you were walking, sprinting or crawling. Nobody cared if you were the first or the last to get to the finish line. The most memorable moment for me was the giant color party at the finish line. All the participants had a color bag which, on the count of three, was tossed high in the air. The result? A bunch of colorful people. 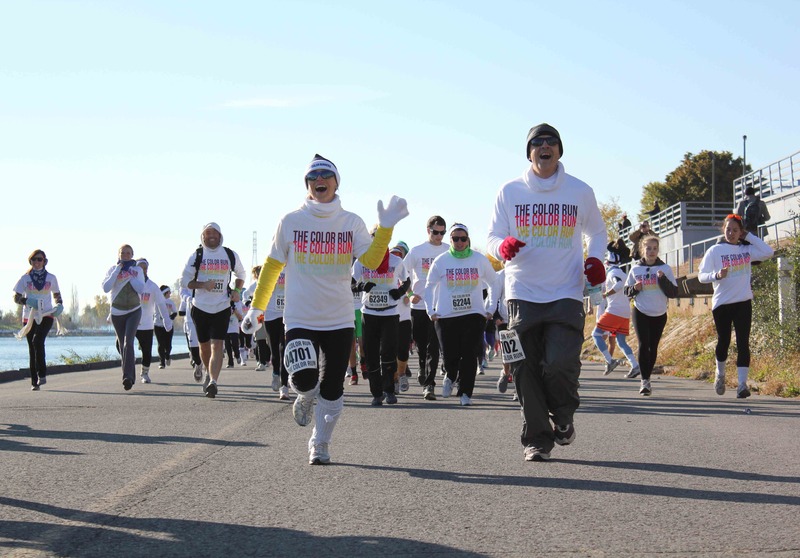 The Color Run had a great turnout and organizers are already planning for next year.